Chapel Herron, front, and her sister Lillie enjoy some screen time at their home in Orlando, Florida. Orlando, Fla – The American Academy of Pediatrics (AAP) recently released new recommendations for children’s screen time limits. “Between social media, apps, video games and chatting with friends, kids often spend hours more each day looking at screens and they are starting much earlier in life,” said Jean Moorjani, MD, a pediatrician at Arnold Palmer Hospital for Children in Orlando, Florida. To help families find a healthy balance, Moorjani has some tips. Consider this: the current recommendations based on setting time limits for children published in 2011 and only addressed things like television and video games. However, because the first generation of tablets had just come out at that time, the guidelines don’t mention the use of tablets or smartphones by children. “We can’t watch our kids 24 hours a day to make sure they honor time limits, but we can control what kinds of content they have access to, and parents should take an active role in doing just that,” said Moorjani. Remember, not all screen time is bad – There is a difference between a child simply watching something on a device and actually interacting with it. “It’s the difference between consumption and creation,” said Moorjani. “If a child is passively consuming media, it’s not doing them any good, but there are some 80,000 apps considered educational that may actually help them.” During the summer months, in fact, many parents use educational apps to help their children retain and even sharpen things like language and math skills. A word of caution from the AAP, however: there are apps that claim to be educational, but to date, there has been little research to validate their educational value. To learn more about age-appropriate content, go towww.commonsensemedia.org. Bedrooms are another important media-free zone. Research has shown that the presence of screens in a child’s room – from televisions to smartphones – leads to later bedtimes and often serious disruptions in sleep patterns. Without rigid schedules during the summer months, kids may be more tempted to use screens in their bedrooms late into the night. To prevent the misuse of screens, make a family charging station so that all devices can be accounted for and monitored when they are not to be in use. Don’t leave kids to their own devices – The reason kids may not use their electronic devices as much during the school year is because they simply don’t have the time. Phones and tablets are forbidden in many classrooms, and if your child takes part in extracurricular activities, they may not have access to their devices until later in the evening. 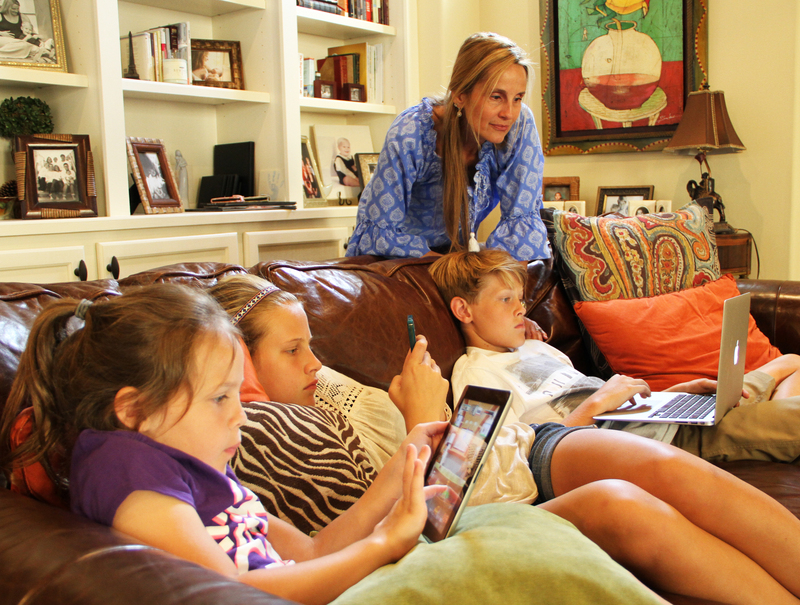 Dawn Herron, of Orlando, Florida, looks over the shoulders of three of her children as they spend time on various electronic devices. 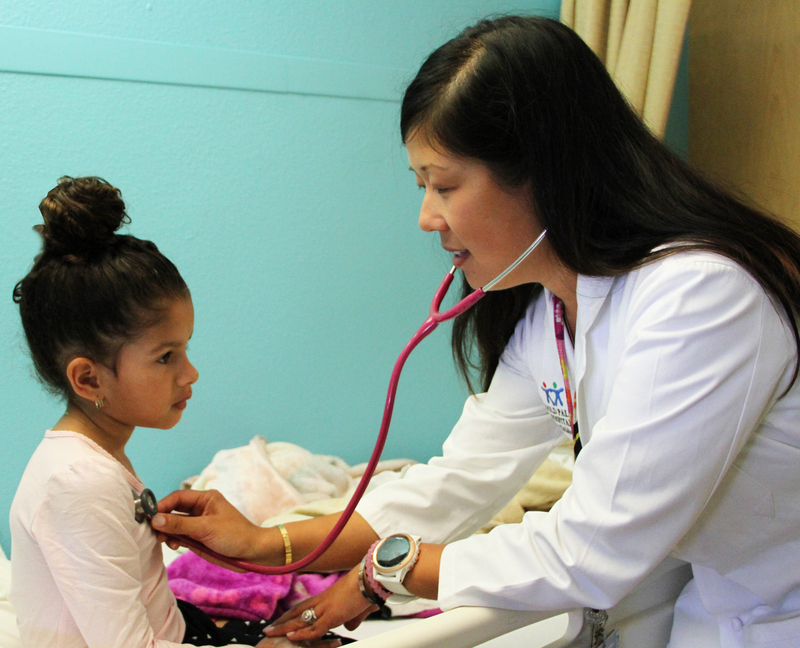 Dr. Jean Moorjani checks the heart of a young patient at Arnold Palmer Hospital for Children at Orlando Health. Moorjani is a noted advocate for making sure children engage in appropriate and responsible screen time on electronic devices. Dawn Herron, a mother of 6 from Orlando, Florida, makes it a point to engage in screen time with her younger children, including Chapel, 7 (left), and Lillie, 13, (right). 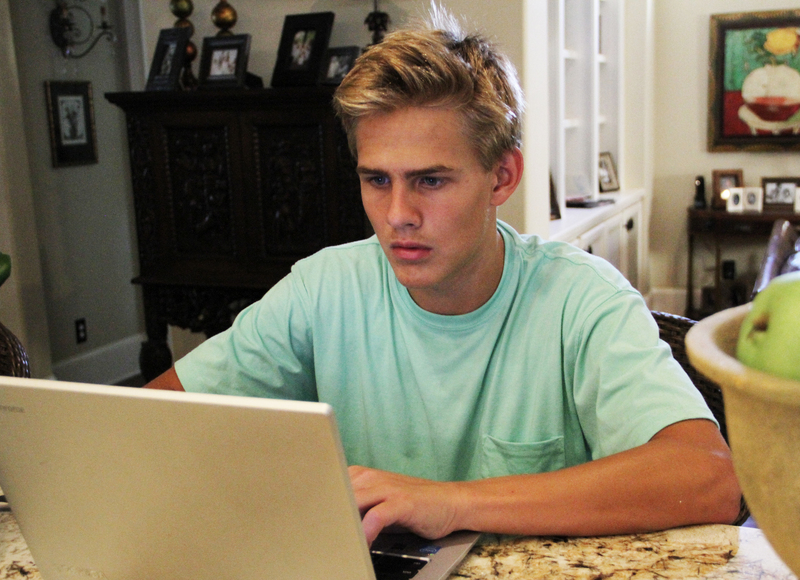 Chase Herron, 16, spends time on his laptop computer at his home in Orlando, Florida. 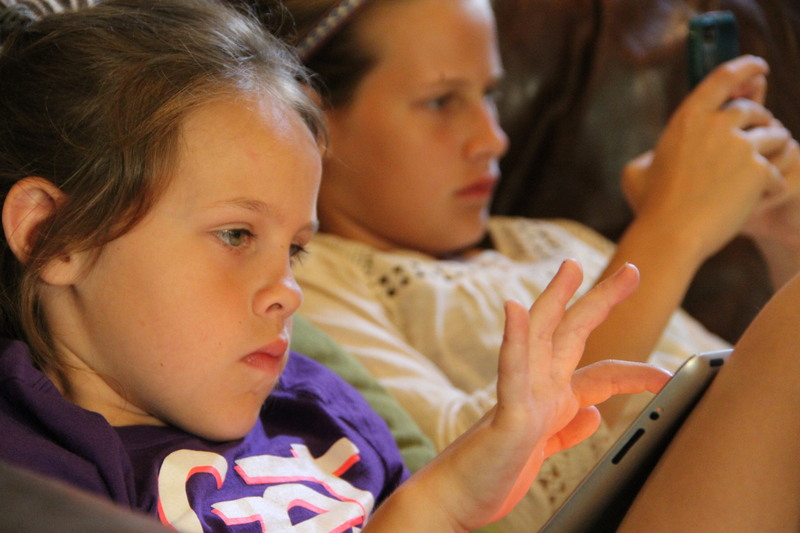 Experts say screen time in the summertime often rises dramatically in children. They urge parents to plan ahead to make sure kids are using electronic devices responsibly and only in appropriate amounts. 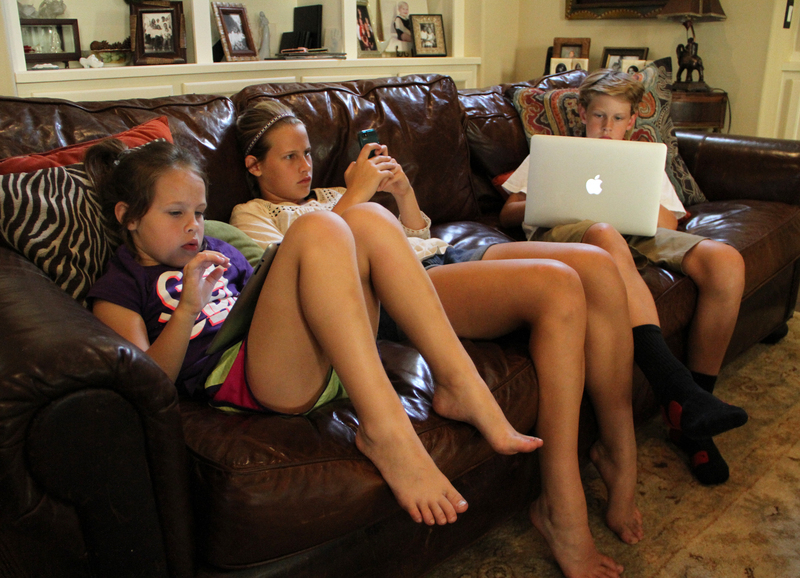 Chapel Herron, left, enjoys screen time with her siblings, Lillie and Miles, at their home in Orlando, Florida. Experts urge parents to set limits for the use of electronic devices, because screen time often rises dramatically in children during the summertime.